U.S. House Speaker Paul Ryan says he has no ill will toward Rep. Mia Love, R-Utah, for trying to sidestep him and other GOP leaders to force a House vote on legislation to protect young undocumented immigrants from deportation. “Mia has an independent streak,” Ryan said Tuesday. “I think that’s what people like in her. But at the end of the day we’re trying to get to the same thing,” just in different ways. In an interview with FOX 13 after attending a fundraiser for Love in Salt Lake City, Ryan said he sees Love as a protégé he has mentored, a good friend and a future GOP leader — despite not always seeing eye to eye. One area of disagreement is on how to resolve controversy over the Obama-era Deferred Action for Childhood Arrivals (DACA) program, which allowed undocumented immigrants brought to the country as children to obtain work permits and attend college. President Donald Trump has attempted to dismantle DACA, while courts delayed the action. House leaders avoided bringing up divisive bills on the issue. But Love bucked leaders by signing a “discharge petition” initiated by moderate Republicans seeking to force votes on DACA. Ryan said both he and Love “want certainty for DACA kids. We don’t want families separated. And we also want to make sure we have the kind of border enforcement … so that we don’t have another DACA problem in 10 years” by allowing more illegal immigration. 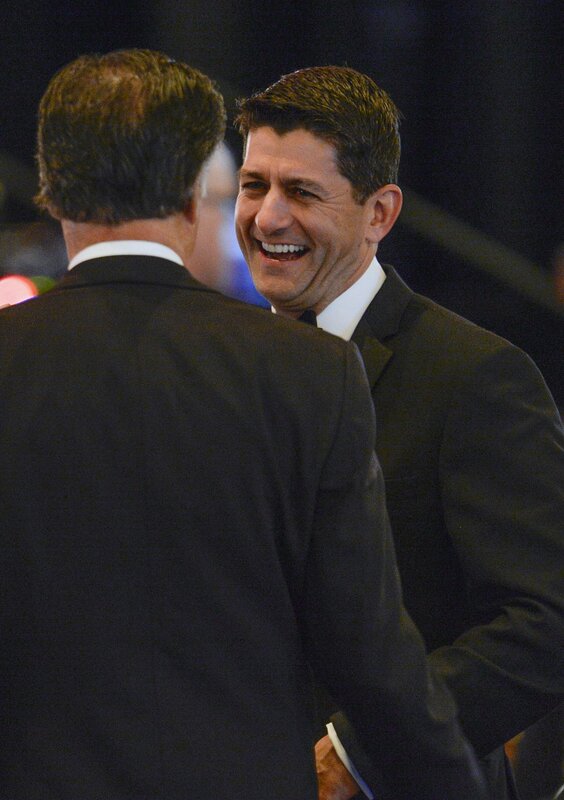 Leah Hogsten | The Salt Lake Tribune U.S. House Speaker Paul Ryan shares a laugh with Republican Senate candidate Mitt Romney during a ceremony honoring Sen. Orrin G. Hatch (R-Utah), Saturday, June 9, 2018, at the Grand America Hotel in Salt Lake City. The Salt Lake Chamber awarded Hatch with the 39th Giant in Our City for distinguished service and professional achievement throughout his political career. 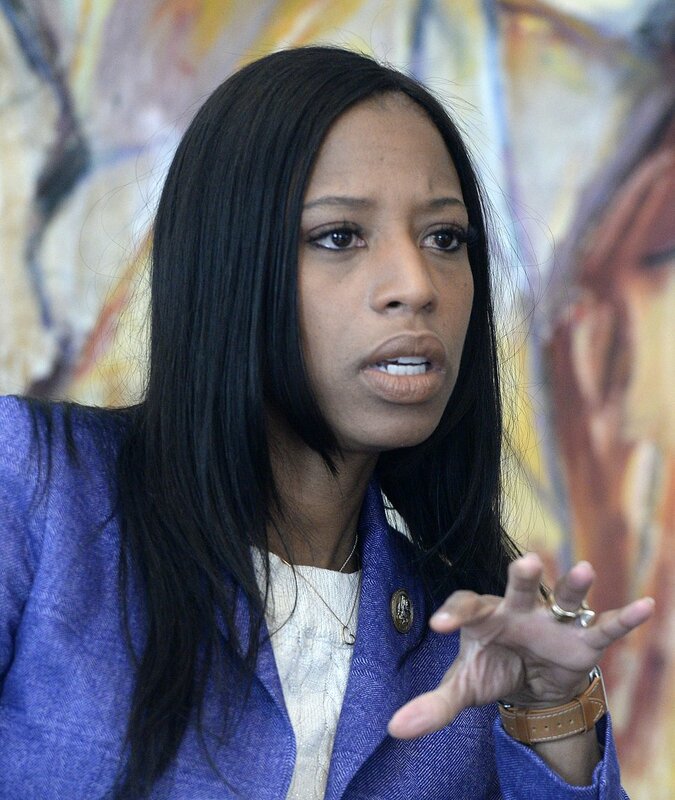 (Al Hartmann | The Salt Lake Tribune) Rep. Mia Love speaks to the Tribune editorial board. Love signed the discharge petition after her Democratic opponent in her tight congressional race, Salt Lake County Mayor Ben McAdams, had run Facebook ads for months that blame “Love and the rest of Congress” for having “failed to take a single vote” on a legislative solution to replace DACA. “So now I’m her D.C. home teacher,” he said, joking about a program by The Church of Jesus Christ of Latter-day Saints — to which Love belongs — to send member-ministers to watch over and help members. Love said, “He’s my mentor and also my big brother and he’s actually looked out for me quite a bit during my time” in Congress. She added, “I’m going to miss him quite a bit. I’m kind of mad at him for leaving me.” Ryan is not seeking re-election this year.